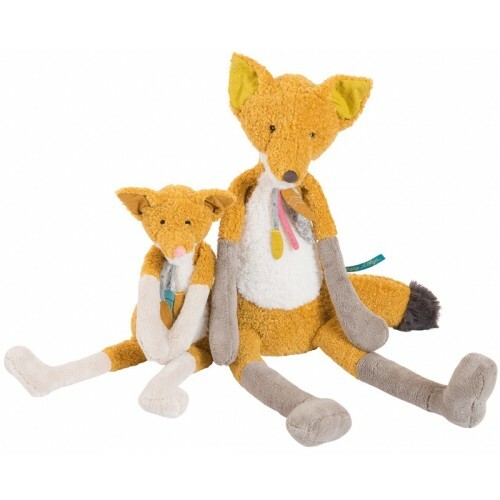 Le Voyage d'Olga is a collection of delicate soft plush toys embellished with embroidery. 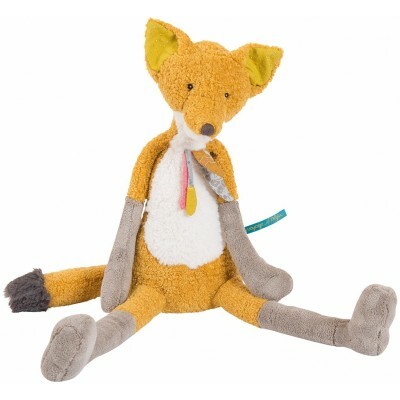 Discover Chaussette the large fox and gentle companion of the wild geese. Kids love to cuddle his soft curly fur! He wears lucky feathers around his neck as a souvenir of his many trips. Dimension: 56 cm. Materials: Cotton, polyester, elastane, linen, wool.